Did Vicky Kaushal just confess his love for Harleen Sethi? Home / Entertainment / Bollywood / Did Vicky Kaushal just confess his love for Harleen Sethi? Is that a hint that he is dating Harleen Sethi, who will be seen in the upcoming web series, Broken But Beautiful on Alt Balaji. Bollywood actor Vicky Kaushal steals the heart of audience with each of his performances. From Massan to Raazi to Netflix’s Lust Stories, and then Sanju and Manmarziyaan, he is one actor who never seems to be a misfit in the roles he chooses, and has become everyone’s favourite. 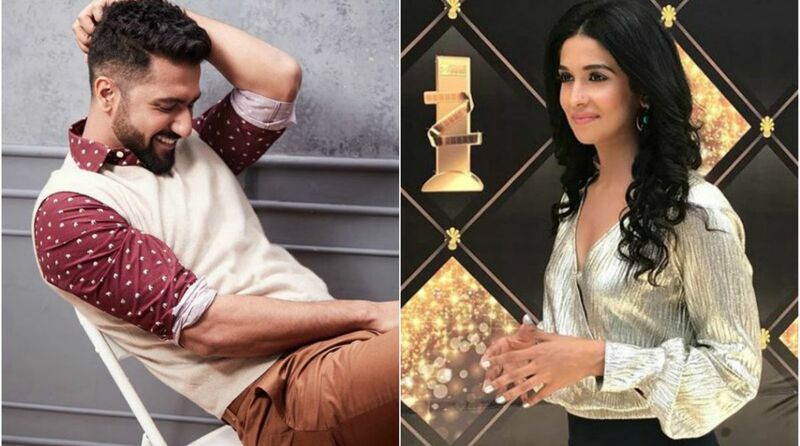 Love Per Square Foot actor Vicky Kaushal made an appearance on Neha Dhupia’s chat show No Filter Neha where he shared some interesting anecdotes. He began the episode by singing a rap from his latest film, Manmarziyaan, and then talked about the female attention he had been getting after the success and went on to accept that he was in love. During the podcast, host Neha Dhupia asked Vicky to dedicate a song to Harleen Sethi, and he crooned Diljit Dosanjh’s “Do you know, main tenu kinna pyar karda”. Later, in another interesting segment where the actor had to tell which person would he swipe left, right or upon Tinder, he chose to swipe up many times for Harleen. What is it like to be set up with one woman, but end up with another? 路 Let’s ask @vickykaushal09 that!  Stream the episode now as @NehaDhupia gets candid with him on the latest episode of #NoFilterNeha! On the work front, Vicky Kaushal is gearing up for of the release of Uri, which also stars Yami Gautam.